Makes me want to ride a gondola…. or a zip line WHEWHOOOO!!! Beautiful photo-I like the fall leaves! The word “gondola” reminds me of an Italian boat that resembles a canoe. HAve a save return on your journey ! Beatiful picture! Not recommended if you are a bike. Where is it? Oh my god this view is amazing. Definitely need to try this out. Love love the gondola picture. Where was this taken from? I love that you captured that view with a bike in it. Such a fantastic perspective of space. In everyday life things are just too close to our faces. We are much bigger spiritually than the size of our bodies. 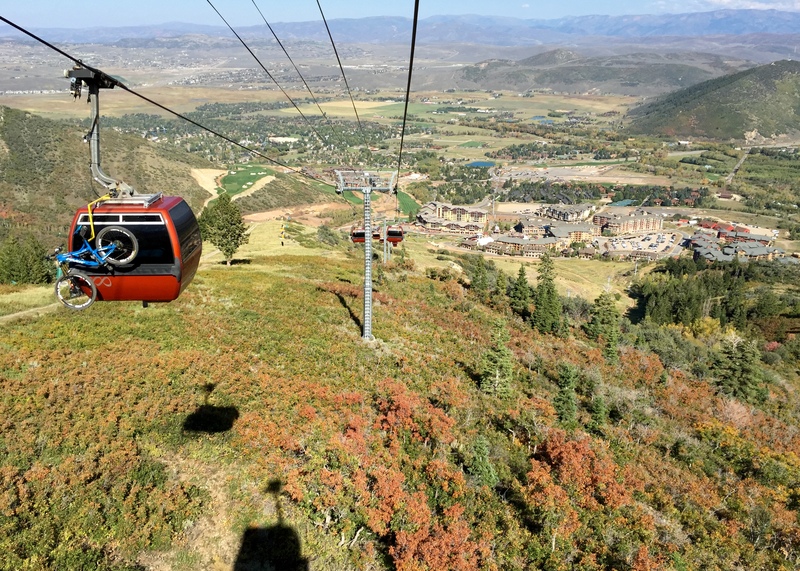 the photo is more fantastic because of the bicycle behind the gondola.Imagination is the hallmark of the photographer.